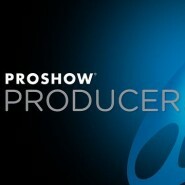 Lately, I’ve been using ProShow Producer to build photographic elements rather than build them by hand in Final Cut Pro. Frankly, it’s just quicker and easier. But ultimately, I end up wanting the final product from ProShow to be ported to a Final Cut Sequence. Using the standard publishing feature would occasionally give me compression artifacts or poor results in general. So here is my work flow for high-res output from Photodex ProShow Producer to Final Cut Pro. A couple of quick notes: First, if you have Quicktime installed on your PC you are supposed to be able to export to QT .mov. However, I can’t get this to work consistently without hanging. Second, this is going to make a huge temp file initially. Feel free to experiment with compression if this is a problem for your system. However this method allows me to do the compression on the MAC…where I can get the results exactly as I want. This should open the ADVANCED VIDEO CREATION dialog box. Select HIGH QUALITY under Encoding. Using Apple’s Compressor, transcode the AVI to match the settings of your Final Cut Pro Sequence. For instance PRORES 422. I use the Anti-Alias at 100 under the frame control in compressor. Though I wasn’t able to see much difference with it at 0. Import the ProRes file into final cut and work as normal. While a bit of an extra step, this process holds up extremely well through post-production all the way to Blu Ray without compression artifacts.